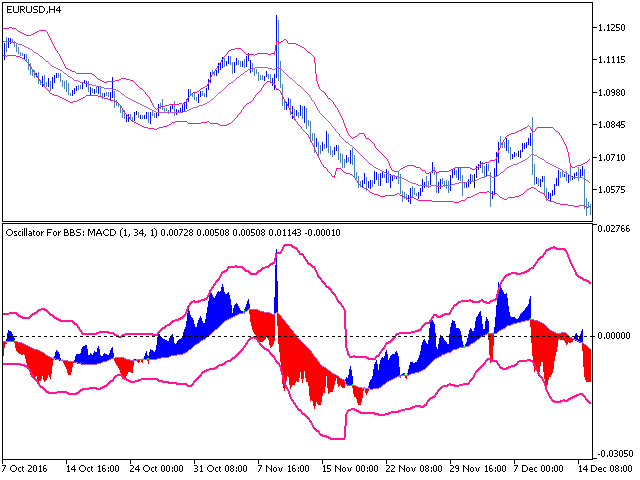 This multi-functional indicator is an oscillator (MAСD, Momentum, RSI, MFI) normalized for Bollinger Bands. The normalized overbought determines overbought and oversold areas more correctly. The oscillator can be displayed as a line, a histogram or a filled histogram. 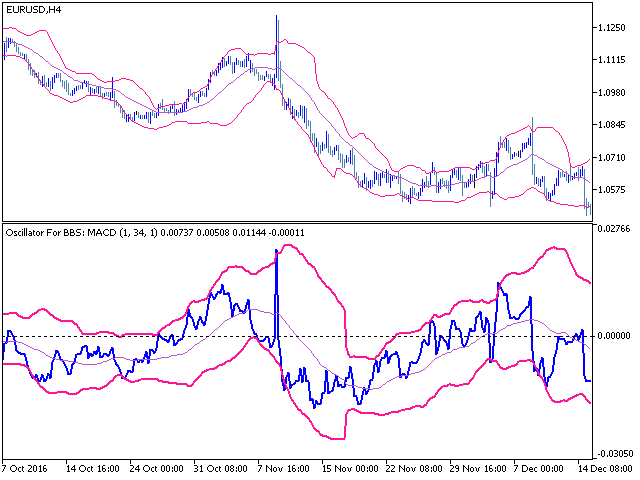 The upper and lower Bollinger Bands are configured independently (period and deviation). This indicator is used by the "Bollinger Bands strategy" Expert Advisor. It is provided to facilitate the visual selection of the parameters. You can also use it in your trading systems independently.